An assault on the Italian all-comers record and the 2:07 barrier is the target at the 19th edition of the Generali Milano Marathon, an IAAF Silver Label road race, on Sunday (7). The fastest man in the field is 30-year-old Kenyan Evans Chebet, who clocked a lifetime best of 2:05:30 in Valencia in November 2017. He also ran 2:05:31 in Berlin in 2016 and 2:06:42 in Tokyo in 2017. Kenyan Edwin Koech, 27, will return to Milan where he won in 2:07:13 in 2017, setting the Italian all-comers record on the fast and flat Milan course. The field of Kenyan top runners also features Titus Ekiru, who won the Seville Marathon in 2:07:43 in February 2017. Italy’s Stefano La Rosa will aim to improve his career best of 2:11:08 set in Seville last year. More recently, La Rosa narrowly missed his half marathon personal best at last month’s Roma Ostia race, clocking 1:02:29. La Rosa has trained since 2016 in the Tuscany camp with a group that includes Jacob Kiplimo, who race to silver at last weekend’s World Cross Country Championships. The pre-event favourite in the women’s race is defending champion Kenyan Vivian Kiplagat, who won last year in 2:27:08. Kiplagat will face Kenyan Doris Changeywo, who finished third in Milan last year with 2:29:49. A record 7293 runners have entered. Five men with personal bests inside 60 minutes and two of the fastest women in history will line up for the Sportisimo Prague Half Marathon, an IAAF Gold Label road race, on Saturday (6). Stephen Kiprop, who won this year’s RAK Half Marathon in a world-leading 58:42, leads the men’s field. The 20-year-old made his half marathon debut last year with 59:44 and went on to run two more sub-60-minute times. He warmed up for Prague with a 10,000m race in Kenya three weeks ago, finishing just a whisker behind Benard Kimeli, who will defend his title in Prague. 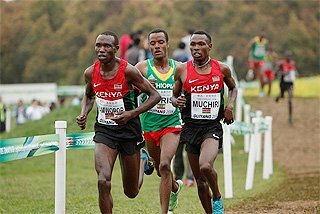 Fellow Kenyans Felix Kibitok, Abel Kipchumba and Geoffrey Koech – all sub-60-minute performers at their best – are also expected to challenge. Kenya’s Fancy Chemutai and Caroline Kipkirui, the second and sixth-fastest women in history with respective PBs of 1:04:52 and 1:05:07, will clash in the women’s race. 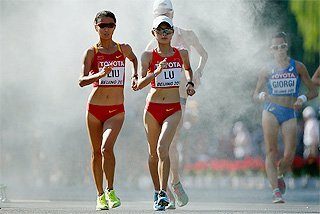 Both women set their PBs at last year’s Ras al-Khaimah Half Marathon, which Cheutai won with Kipkirui placing third. Kipkirui gained revenge seven months later, though, winning the Birell Prague Grand Prix in 30:19 to Chemutai’s 30:22. European 10,000m champion Lonah Chemtai Salpeter will be one of their main challengers, having won the recent Roma-Ostia Half Marathon in 1:06:40. USA’s Amy Cragg, who ran 2:21:42 at the 2018 Tokyo Marathon, will be looking to improve her PB of 1:08:27 and challenge the North American record of 1:07:25. World champion Netsanet Gudeta will be the headline act at the Vodafone Istanbul Half Marathon, an IAAF Gold Label road race, on Sunday (7). The 28-year-old Ethiopian set the women's-only race world record at the World Half Marathon Championships in Valencia last year, clocking 1:06:11. But she's run even faster since, clocking 1:05:45 to equal the Ethiopian record at the RAK Half on 8 February, where she finished second. More recently, she ran 1:06:49 at the Bahrain Night Half Marathon on 15 March to finish third. She'll face Ruth Chepngetich, who set the Istanbul course record of 1:06:19 in 2017. She was second in the Bahrain race last month, clocking 1:06:09 to clip ten seconds from her personal best. Chepngetich began 2019 with a bang, winning January's Dubai Marathon in 2:17:08 to become the third fastest marathoner in history. The men's field includes five men with sub-60 minute credentials. The fastest of those is Guye Idemo Adola of Ethiopia, whose 59:06 best came in New Delhi back in 2014. But he's gotten off to a decent start in 2019, winning the Roma-Ostia Half Marathon last month in 1:00:17. He'll be backed up by compatriots Amdework Walelegn, who clocked 59:22 in New Delhi last year, and set the Istanbul course record last year in 59:50. Aziz Lahbabi of Morocco also has solid credentials, with a 59:25 lifetime best from 2014. Kenya's fastest entrant is Peter Kwemoi, a 59:58 man who won this year's Verona Half Marathon. The leading contenders for this year’s NN Marathon Rotterdam will try to improve the course record of 2:04:27 at the IAAF Gold Label road race on Sunday (7). 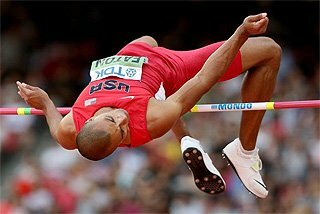 Kenya’s Marius Kipserem will start as the slight favourite. He won the Abu Dhabi Marathon in December in 2:04:04, but his time cannot be counted as an official PB because it was later found that the course was slightly short. That in itself, though, will act as a huge motivating factor for the 30-year-old as he seeks to improve on his fifth-place finish from Rotterdam last year. Having won the Valencia Marathon last year in 2:21:14, Ethiopia’s Ashete Bekele Dido will start as favourite in the women’s race. Compatriot Sentayehu Lewetegn and Kenya’s Stella Barsosio are both sub-2:24 performers and are expected to challenge for top honours. Approximately 17,000 runners will take to the Erasmus Bridge for the start of the race on Sunday with temperatures expected to be about 14C. Nancy Kiprop says she is ready to make history at the 36th edition of the Vienna City Marathon on Sunday (7) by becoming the first woman to win the Gold Label road race for the third time. The Kenyan, who triumphed at this race the past two years, has arrived in the kind of form which makes her believe that she can improve on her best of 2:22:46, a performance that would fall well under the current course record of 2:23:47, set by the Italian Maura Viceconte in 2000. But the Kenyan should face strong opposition from Ethiopia’s Rahma Tusa, a three-time winner of the Rome Marathon, whose best is 2:23:46. Making good progress up the marathon charts is Nancy Kiprop’s fellow Kenyan, Angela Tanui. Her best is 2:26:31 and she ran 69:53 to win the Naples Half Marathon in late February. 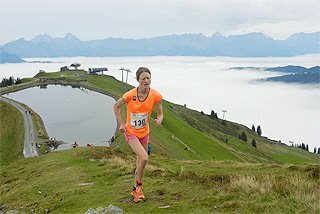 Another previous winner expected on the start line is Swiss record holder Maja Neuenschwander, the winner in 2015 and clocked her best of 2:26:49 in Berlin later that year. 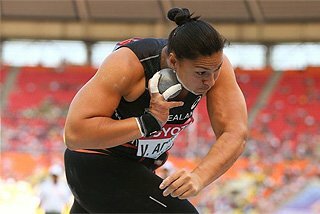 She'll be returning to action after a stress fracure sidelined her from competition last year. Defending Daegu Marathon champion Janet Rono and last year’s runner-up Evans Korir will return to the IAAF Silver Label road race on Sunday (7). Korir clocked a lifetime best of 2:06:35 in the Korean city 12 months ago, which would have been a course record had he not been beaten by six seconds by Abraham Kiptum. 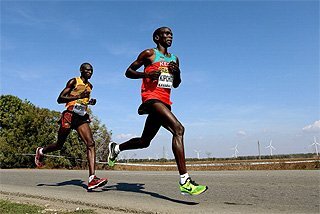 The 32-year-old will be highly motivated to go one better than last year, but he faces an incredibly strong field that includes fellow Kenyan Dennis Kimetto. Since breaking the world record in 2014, Kimetto has withdrawn from more marathons than he has completed. Beset by injuries to his quadriceps, groin and triceps, the 35-year-old ran 2:14:54 in Shanghai last year, his first completed marathon since his 2:11:44 clocking in London in 2016. It may be some way off his 2:02:57 lifetime best, but Kimetto is hopeful that the worst of his injury worries are now behind him and that he can return to challenging for top honours at major marathons. There are nine men in the field with sub-2:07 lifetime bests and four of them have PBs quicker than the Daegu course record of 2:06:29: Ethiopia’s Shifera Tamru, who clocked 2:05:18 in Dubai earlier this year, three-time Houston Marathon winner Bazu Worku, three-time Amsterdam winner Wilson Chebet and evergreen Kenyan Mark Kiptoo. Defending champion Janet Rono will face two other past Daegu winners on Sunday. Rono won in Daegu last year in 2:28:01, and although her PB is a couple of minutes quicker at 2:26:03, she will start as the third-fastest athlete in the women’s field. 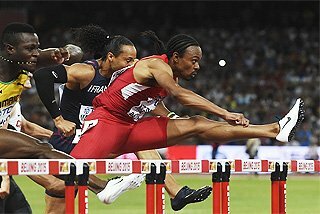 Ethiopia’s Mulu Seboka won in Daegu in 2014, having won in Dubai just a few months prior. She went on to clock a PB of 2:21:56 one year later and in 2018 she had a best of 2:25:01. Pamela Rotich, the 2017 Daegu winner, finished third in the Korean city last year in a season’s best of 2:28:45, roughly a minute shy of the 2:27:48 PB she set there one year earlier. Ethiopia’s Meseret Mengistu set her PB of 2:23:26 when winning the 2015 Paris Marathon. 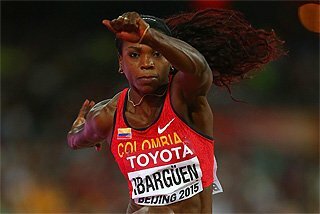 She hasn’t bettered 2:25 since then, but has won in Beijing and Xiamen in recent years. Compatriot Medina Deme Armino arrives in Daegu in good form, following her 2:27:25 PB victory in Xiamen in January. The closely-matched fields for the HAJ Hannover Marathon suggest both the men’s and women’s contests will be highly competitive at the IAAF Silver Label road race on Sunday (7). Kenya’s Duncan Koech, 37, was third in Hannover last year in 2:10:19, but holds a 2:07:53 lifetime best set in Cologne in 2012, the fastest in the field. Fellow Kenyan Samwel Maswai clocked his 2:08:52 lifetime best back in 2013, but finished third in Vienna last year in 2:11:08 on a warm day. Five other runners with sub-2:10 credentials are also in the field: Kenyans Edwin Kimaiyo (2:09:12), Paul Kangogo (2:09:20) and Josphat Leting (2:09:34), Ethiopia’s Alebachew Wale (2:09:40), and German record-holder Arne Gabius. Karolina Nadolska is the fastest of the entrants in the women’s field. 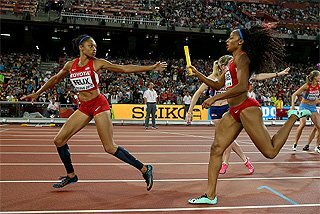 The Pole clocked her 2:26:32 PB in Osaka in 2014, but was a few minutes shy of that mark in Nagoya last year where she ran 2:30:46. 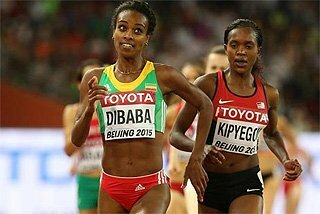 The field also includes Ethiopia’s Tigist Memuye Gebeyahu, whose biggest career win came two years ago in Zhengzhou when she clocked 2:27:39. Kenya’s Racheal Mutgaa, who ran 2:28:39 to finish second in Hefei last year, will also be among the favourites. Germany’s Anja Scherl, a 2:27:50 performer at her best, is returning from injury but appears to be in good form as shown by her 1:12:43 run at the Barcelona Half Marathon in February. Another Ethiopian victory looks highly likely at the Acea Rome Marathon as Abayneh Ayele and Muluhabt Tsega lead strong and competitive fields for the IAAF Silver Label road race on Sunday (7). Several athletes in the line-up for the Madrid Half Marathon appear capable of breaking the race records of 1:01:54 and 1:09:40 on Sunday (7) in what will be the event’s first year as an IAAF Bronze Label road race. Ethiopia’s Tesfaye Abera, who boasts an impressive 2:04:24 marathon PB set in Dubai in 2016, has a best of 1:00:32 for the 13.1-mile distance but hasn’t raced since October 2017. 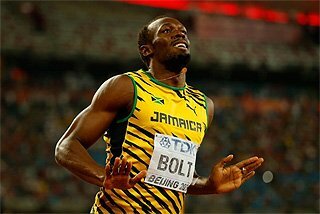 He will face stiff opposition from Kenya’s Emmanuel Kipsang, Kipkemoi Kiprono and Bernard Kiprop Kipyego. Kipsang and Kiprono have sub-1:01 PBs, but managed 1:02:24 and 1:03:38 at the Rome-Ostia Half Marathon four weeks ago. Kipyego is the 2009 world half marathon silver medallist and has a best of 59:10 but hasn’t bettered 1:01 since 2014. Uganda’s Daniel Rotich set his 1:00:59 PB in 2016 and should be in contention for a podium place, as will South Africa’s Desmond Mokgobu. 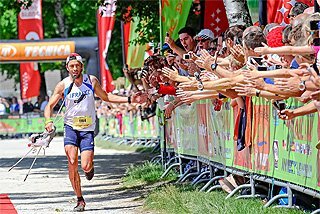 Spanish hopes rest with Javier Guerra, a 1:01:18 athlete who will use Sunday’s event as a build-up for the Madrid Marathon later this month. The men’s race record of 1:01:54 was set by Uganda’s Moses Kibet in 2017, while the women’s record of 1:09:40 has stood to Cynthia Jerotich since 2014 and looks similarly vulnerable. Ethiopia’s Muliye Dekebo, who produced a huge career best of 1:07:57 in Rome last month, leads a large Ethiopian contingent which also includes Tigist Teshome, Hawi Magersa, Abebech Mulugeta Aynalem Kassahun Teferi, Aberu Ayana and Adawork Sadura. Italy’s Sara Dossena, who set a big PB of 2:24:00 at the Nagoya Marathon four weeks ago, will be trying to prevent an Ethiopian victory and looks capable of breaking her PB of 1:10:10. Morocco’s Soukaina Atanane and Burundi’s Elvanie Nimbona should also feature among the lead pack. More than 20,000 runners will take part in the event on what looks set to be a cold and possibly wet day in the Spanish capital. The focus will fall on local stars Kim Hye Gyong and Jo Un Ok at the 30th Mangyongdae Prize International Marathon, an IAAF Bronze Label Road Race, in Pyongyang, Democratic People's Republic of Korea, on Sunday (7). Kim and Jo finished 1-2 in last year's race clocking 2:27:31 and 2:27:42, respectively. That run was Kim's second fastest, behind the 2:27:05 run that propelled her to the tile in 2014. That performance was a PB for Jo, also 26, who has run consistently in her country's biggest marathon, winning in 2017 and finishing third in 2016. She's raced well internationally as well, finishing fourth at last year's Asian Games. On paper the fastest in the field is Kenyan Emily Samoei, but her best of 2:26:52 came back in 2012, form she'll need to chase to finish back on the podium on Sunday. Others to watch include Tizita Terecha of Ethiopia, who has a 2:28:02 career best from 2015, and her 27-year-old compatriot Tadelech Nedi, who clocked 2:32:28 in Casablanca two years ago. The men's field features 34-year-old Willy Kotile of Kenya, whose 2:09:58 personal best dates back to 2015. Ethiopian Dejene Kelkilew, 28, has a 2:11:21 lifetime best, but that too came in earlier stage of his career, back in 2014. Tadesse Yae, anoher Ethiopian, could be a factor as well. The 30-year-old set his best of 2:11:50 in 2014, but more recently, finished 6th in New York in 2016.